At the beginning of this month, Oracle published a Maintenance Draft Review for JPA 2.2, and the Review Ballot will close at the end of this week. So, it’s about time to have a look at the maintenance release and the changes it will bring to the specification. As expected, it’s only a small release, and I think that’s ok. JPA 2.1 already provides a good enough toolset for most applications. But there was nevertheless some work to do. Unfortunately, it’s very hard to get details about the changes in JPA 2.2. The expert group only published a short changelog which lists 5 proposed changes and links to the corresponding github artifacts. But these are not updated. Most of them are still open and have no commit links. So, I did my best to collect the information from the changelog, github and the mailing list. I will update this post as soon as there is an updated version of the specification. So, here’s a list of the proposed changes. This change is tracked in the JPA spec issue #99 and it might sound familiar to you. Hibernate introduced a similar feature in version 5.2. The JPA interfaces Query and TypedQuery got a new method called getResultStream() which returns a Java 8 Stream of the query result. By default, this method delegates to getResultList().stream(). But a persistence provider, like Hibernate, can override it to provide a better implementation. That’s what Hibernate already does with the stream() method of its proprietary version of the Query interface. Instead of fetching all records of the query result at once, it uses a ScrollableResult to scroll through the result records. This is way more efficient if you need to process a huge result set. I expect that the Hibernate Team will provide the same functionality for the getResultStream() method as soon as a final version of JPA 2.2 got released. So you will then able to use the following code to scroll through your query results. This is another Java 8 related change and it’s tracked in the JPA spec issue #115. It allows you to use the same annotation multiple times for a class or attribute without using a container annotation. So, you can annotate your entity class with multiple @NamedQuery annotations without wrapping them in a @NamedQueries annotation. This makes the code much easier to read, as I showed when Hibernate made their annotations @Repeatable. The Date and Time API was one of the most popular features in Java 8. It’s no surprise that a lot of developers were asking for official support in JPA even so you can add it with a simple AttributeConverter . With JPA 2.2, you will no longer need the converter. As documented in the JPA spec artifact 63, JPA 2.2 will add the support for java.time.LocalDate, java.time.LocalTime, java.time.LocalDateTime, java.time.OffsetTime and java.time.OffsetDateTime. Unfortunately, the github artifact doesn’t provide any information on how these classes will be supported. But I guess they will be supported as basic types as suggested in the first comment of issue 63. 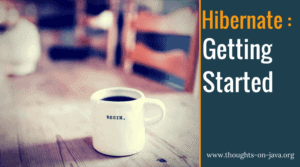 Hibernate already showed that the classes of the Date and Time API provide all required information to map them to the correct database columns and that there is no need for the old @Temporal annotation. So, you will, most likely, be able to use the classes of the Date and Time API as shown in the following code snippet. This is probably just a minor improvement for most developers. With JPA 2.2 you will be able to use CDI injection in your AttributeConverter. You can follow the discussion about this change in artifact 109. The support for CDI Injection will allow you to inject your reusable conversion implementation into an AttributeConverter. A lot of frameworks and specifications require a few adaptions to work with the JDK9 module system. That’s also the case for the JPA specification and it got discussed in artifact #146. The expert group changed the wording of the specifcation in a few places so that the persistence provider implementation now needs to provide a service provider configuration which can be used in a Java SE environment. The JPA 2.2 MR suggests just a small set of changes to adapt JPA to Java 8 and prepare it for the Java 9 module system. As I wrote at the beginning of this post, that’s not an issue because version 2.1 already provided a powerful toolset. But I had hoped for a few more changes. The different JPA implementations support several proprietary features which would make the specification a lot better, like the support for ad-hoc joins in JPQL or a better API to load multiple entities by their primary key. Let’s hope that we get some of them with Java EE 9. So far, Oracle only announced that they want to release it in 2018 but didn’t say anything about the scope of it. Do you know what the Reference Implementation will be? EclipseLink is still the reference implementation. It looks like they kept it in sync with the latest specification changes. I like the idea but the problem here is, that it needs to be a class that’s parsed by your JPA implementation. It would create a huge overhead at deploytime, if Hibernate would need to parse all classes of the application to search for a @NamedQuery annotation.